The Bahrain Center for Human Rights (BCHR) is deeply concerned about the ongoing detention of prominent Bahraini women’s rights defender Ghada Jamsheer. A petition was launched to call for her release, and drop the travel bans against other women rights defenders, including BCHR staff. Jamsheer, President of the Women’s Petition Committee (WPC), writer and blogger, was arrested on 15 August 2016 at Bahrain’s airport, in Manama. Jamsheer had just spent several weeks in London, the United Kingdom, for medical treatment. This re-arrest came after the Second High Criminal Court decided to uphold a one-year prison sentence in June 2016, in addition to combined sentences of several months each over four charges of criticizing the King Hamad Hospital on twitter. In 2016, Jamsheer was sentenced to an additional seven months in prison on three charges related to tweeting, and an appeals court upheld a sentence of one year in prison for allegedly “assaulting a police officer” in jail, in connection with the case. After criticizing the allegedly corrupt management of King Hamad Hospital, she had been fined around 10,000 dinars (approx. USD$26.500), and received an extended prison sentence by the appeal court. The decision to re-arrest Jamsheer upon her return to Bahrain is in line with the government’s will to suppress all forms of political dissent, and to discourage those who speak out against the government’s abuses. Throughout the years, Jamsheer advocated for gender equality and protection of women through codified personal status laws. Her advocacy work got her a standing ovation from Time magazine, who named her one of the four heroes of freedom in the Arab world. She was also placed on the list of the top 10 most powerful women in the Arab world by Forbes. In addition to her work at WPC, Jamsheer has also criticized the ongoing electoral methods aimed at decreasing the power of the Shiite majority, and accused the administrators of King Hamad Hospital of corruption, which constituted grounds for the ongoing judicial harassment and prosecution by the authorities. 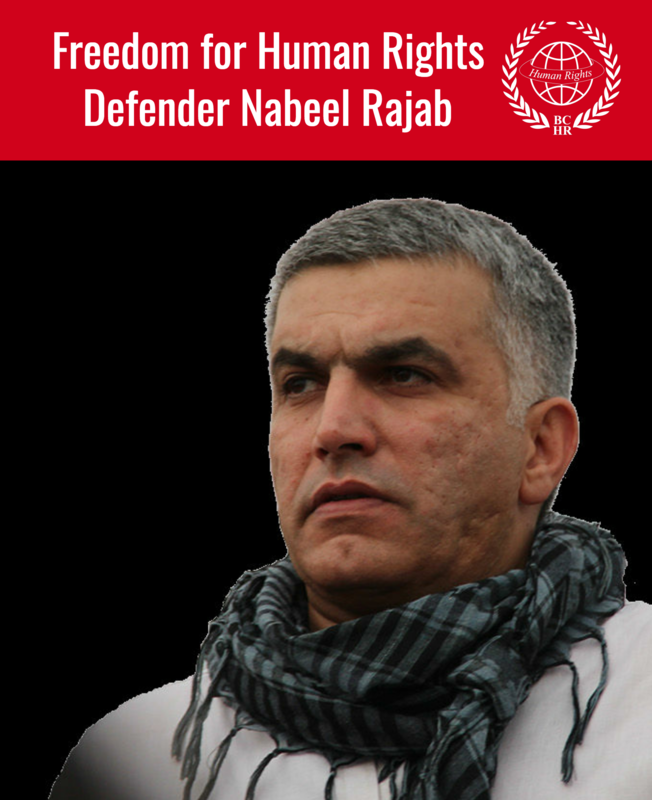 Jamsheer is not the first victim of the Bahraini government’s reprisals, nor the last one. Since 2011, around 300 complaints regarding the arrests and torture of women who dare to exercise their rights to freedom of expression were received by BCHR. 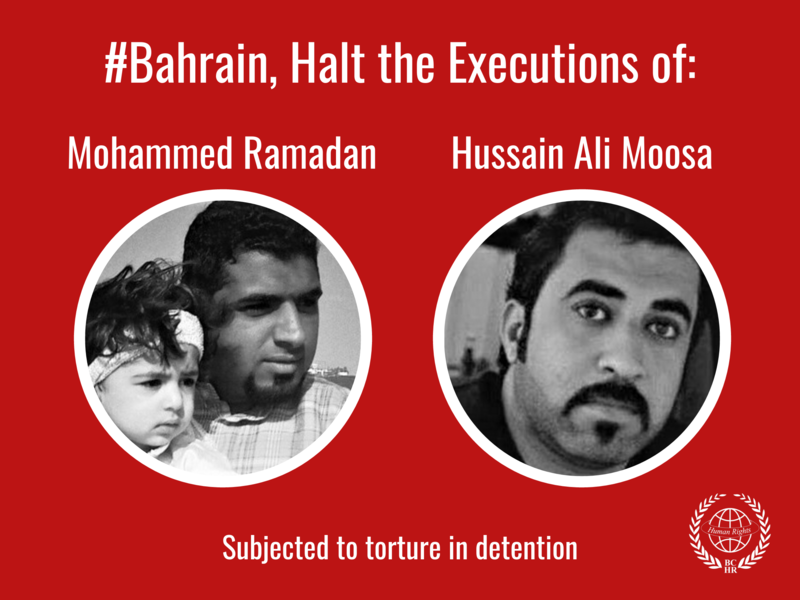 In addition, the Bahraini government had imposed travel bans on several human rights defenders to prevent them from participating in the 32nd and 33rd Sessions of the United Nations Human Rights Council, or human rights workshops. BCHR is alarmed about the judicial harassment directed at Ghada Jamsheer, and believes that these targetings and arrests are aimed at deterring human rights defenders from exercising their rights. We call on the international community to condemn these acts of reprisal against all human rights defenders, and to press for the release of Ghada Jamsheer. End all forms of harassment and prosecution against Ghada Jamsheer and all human rights defenders exercising their right to freedom of expression.